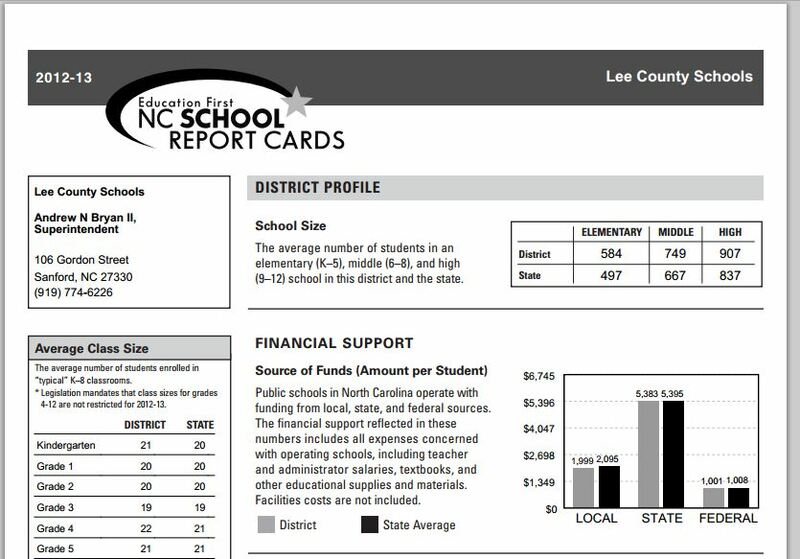 Lee County Schools fell below the state level on the North Carolina End-of-Grade tests in several elementary and middle school grades and subjects and well below the state average for high school students in English II, Math I and Biology according to the 2012-2013 N.C. School Report Cards released by the state today. Lee County exceeded the state average in the percentage of students who scored at or above grade level in third-grade reading, sixth-grade math, seventh-grade math and eighth-grade math. The district was well below average in the higher grade levels in English II, Math I and biology (see below). Another area of concern dealt with middle school teachers. 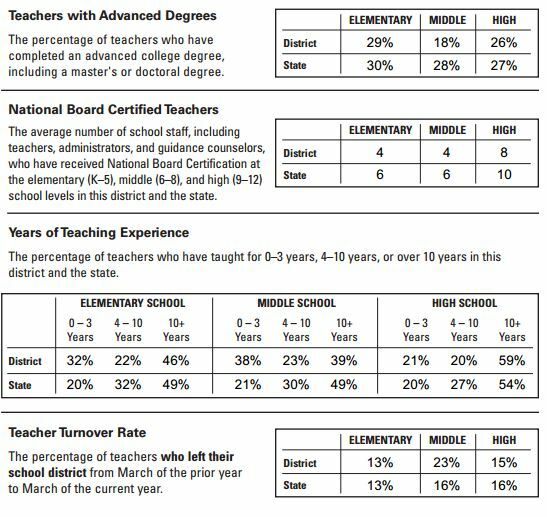 Lee County Schools had a 23-percent teacher turnover rate at the middle school level (state average 16 percent) and was well below the state average when it comes to middle school teachers with 4 or more years of experience (and nearly doubled the state average in the percentage of teachers with 0-3 years of experience).